I read this article and found it very interesting, thought it might be something for you. 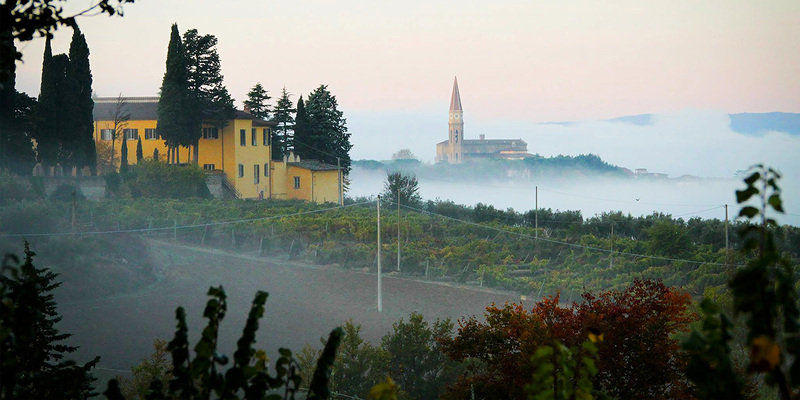 The article is called Villa Godiola and is located at https://www.dellarte.it/locations/villa-godiola/. Between 488 and 553 Goths camped on the San Fabiano hill to control the Roman road leading to the Italian west coast. Hence we believe the name Godiola to be a Goth toponym. At the end of the 14th century the Godiola area was purchased by Angelo Ricasoli, bishop of Arezzo. He is also the one who built the original villa. Bishop Gentile dei Becchi (1473-1497) was a scholar and teacher of Cosimo de Medici’s children. He was the first bishop to move into the villa but then had to leave Arezzo during the 1487 plague. Bishop Stefano Bonucci (1574-1589) is the one who gave the villa the structure it has today. His family crest, placed above what used to be the main entrance, can still be seen today. The balcony overlooking the town, together with the vineyard and olive tree grove, were added in the mid 1700s. 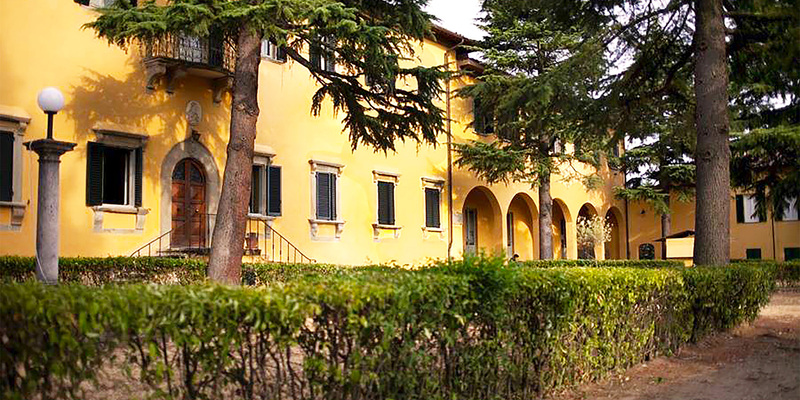 Since then, the Villa has served as an orphanage and, later, as a place of study, first for the Università di Siena and now as the Accademia dell’Arte, which has made the Villa Godiola its home since 2004. The Limonaia is the dedicated student space located in the front garden. Inside the students have a common area. They have access to 2 refrigerators for weekend food storage as well as a dining area with table settings and a washbasin. The Casina, another residence hall, consists of 12 bedrooms with both en-suite, private and shared bathrooms located right outside of the bedroom door. Our white box theatre, known as the Teatrino, is 90 msq with 4 windows that open onto the view of the Arezzo Duomo and is equipped with a 5 rows of lighting and stereo sound equipment. It has a wooden dance floor, electric upright piano and the possibility of a black curtain. There are 3 entrances and exits for play and moveable risers for sight lines. The tech booth doubles as a costume and props closet and there is a dressing room/changing area as well as 2 bathrooms. Our main dance studio is 80 msq has 4 windows that open onto the hills of San Fabiano and a sprung wooden dance floor with a marley overlay. It houses a stereo sound system and overhead as well as side fluorescent lighting. There are two entrances and exits as well as a storage space and removable ballet bars. 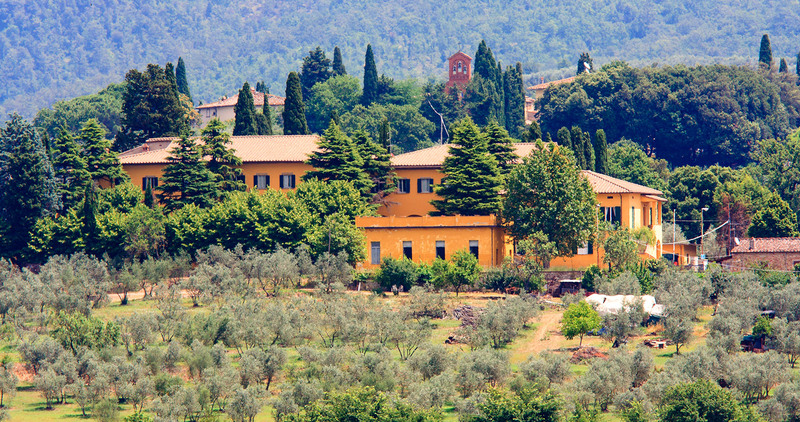 Villa Godiola has three studio spaces reserved for rehearsals and small performances. All have ample natural lighting as well as fluorescent ceiling lights. Our music studio, Studio I, is 30 msq and equipped with a grand piano. The flooring is antique tile and there are 2 windows that overlook the back garden. Located on the second floor, Studio IV has the ability to become a dance space with a removable dance carpet though the regular flooring is antique tile. It is 60 msq with 4 windows that overlook the San Fabiano hillside and 2 entrances and exits. Studio V is 40 msq and has a wooden dance floor with a marley overlay. There is one entrance/exit and has 4 windows that overlook the back garden and the vineyards. The Mask Studio is equipped with all materials for leather mask making and storage spaces for the negatives. There are 4 large worktables, 2 large sinks and 4 window/doors that open up onto the loggiato area in the front garden. Our two classrooms both have a 30-person capacity, antique tile flooring and windows that open onto the back and front garden. Studio II is equipped with a projector and screen, stereo system and white board. Studio III is located on the second floor with a balcony over the front garden and has a white board. Both studios have removable wooden tables and chairs.